AuthorRank is another one of Google’s online devices that they are using to try to control the quality of their search engine results. Google ideally wants very good and high quality search engine results because every time the quality of their results slips, they lose users to Bing. Articles used to be a big SEO winner, but Google’s fight against content farms has moved people towards blogging. Guest posting is now a great SEO device, but some people were still posting poor content; therefore, Google set up AuthorRank. With this tool, they are able to rank (in severely limited terms) the work of independent authors. The rankings are not actually very accurate, but they are good at keeping the worst authors off our browsers. This is the most oblivious use of AuthorRank and is the reason it is the first point on this article. People have been using PageRank for years in order to figure out which websites rank higher than others. It is not out of the question to assume that AuthorRank cannot be used in a similar way to judge a guest poster before he or she posts on your website. If you are a blog owner and you get a request to post from another blog owner, it is far more prudent to check his or her blog’s popularity before you disregard his/her requests. There are a number of reasons for this, but the main one is that if the author has a dedicated following then there is a chance that they will discover your blog when they are searching out their blog owner’s work. Do not forget that AuthorRank cannot judge how good an author actually is. Also, do not forget that just like PageRank, an AuthorRank can be manipulated by the author. AuthorRank is handy because if one guest blogger does have a good following of loyal fans then the AuthorRank system is going to allow them to find his/her posts on your blog. If the guest post blogger has a high author rank then whenever Google shows something of theirs on their results pages, the user will be allowed to click a “More from” link. 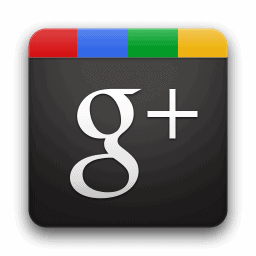 This allows the user to see all the other content listings that are indexed with Google. This is good for the guest poster, but has no real benefits for the blog owner. It is not a factor that is going to convince a blog owner to allow a guest post, but it may be an incentive for a guest blogger to try a little harder to get his or her content onto another person’s blog. Oddly enough, this is one of those links between guest posting and AuthorRank that is of note because it is conspicuously indirectly linked. The link between AuthorRank and Guest posting in this case is quite indirect. 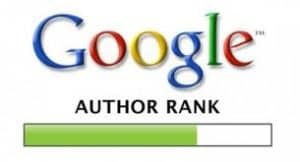 The AuthorRank is something, which is judged by the quality of the content and not where it is created (no link). However, this factor works to the benefit of the author because the author is able to build a solid AuthorRank without having to pay to be listed on high traffic blogs, or without having to work and convince others about their work (there is the link). An author can spend his or her time writing content for some of the most poor article sites and blogs imaginable, and their AuthorRank will not be negatively affected. Only the quality of the content is judged, which is also handy if the author has posted a lot of material on websites that are contrary to the blog owners beliefs, or are of a dubious moral nature. 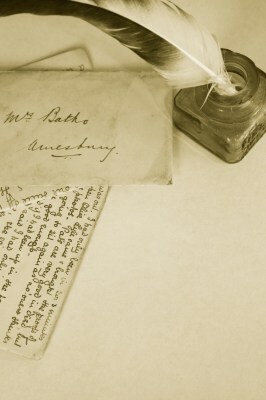 There is nothing stopping a blog owner doing a little bit of background research on a guest blogger, but since AuthorRank is all about quality, there is no need to do a background check. Guest posting has become a lot more popular since Google decided that it is more important than online articles. That is not to say that some online articles are not packed with SEO (Search Engine Optimization) value, but the people running content farms made Google lower the status of articles. Google want to encourage guest posting because fewer people are willing to compromise their blogs integrity for the sake of having new content that comes from strangers. Nevertheless, the link-hungry website community has turned guest blogging into a factory-style business, where they disseminate masses of content between blogs. This factory process is harder to do when AuthorRank is involved as it forces the guest poster (and blog owner) to maintain a human factor. It is not the rank its self, which adds the human factor, moreover it is the efforts that people take to increase their AuthorRank which adds the human factor. People will take a lot of trouble to integrate themselves into Google circles. They will take the time to use social media (especially Google+) and will take the time to ingratiate themselves into the online community. People wanting a good AuthorRank will add a profile picture too, which is another big factor in introducing a human factor into guest posting. Many people are used to seeing logs, symbols, cartoons and graphics in the place of real people and a profile image of a real person goes a long way to adding a personal and human touch. The reason that a lot of blog posts have a little author bio at the bottom is to add in the human factor that was previously discussed. It is very easy for people to post guest posts and create a phony author bio. People are used to reading about “Sally Nosepeg” in the sound knowledge that Sally never really existed. With AuthorRank it is a little harder to make up a fake author bio and this pleases some blog masters to the point of not allowing people to guest post unless they have a good AuthorRank. This is an aspect that Google have tried to install. AuthorRank shows how many Google circles the guest poster is in as an indicator of authority. Having a picture does increase blog writer’s authority too. Author bio: Korah Morrison, writer on EssayWritingServices.com that helps students to write essays of any complexity.